I’ve been away traveling for a while without ready access to a computer and so have missed updating the blog with a significant announcement by Apple about some forthcoming non-Beatles re-releases. So, in case you missed it, here’s a catch-up post. I’ve been buying records on the Apple label since I was a teenager. They were all Beatles releases of course as at the time that was the extent of my interest and my knowledge of the Beatles record label’s activities. It wasn’t until about fifteen years ago that I realised that alongside their Beatles releases the record label also issued a wealth of other artists, and so I began trying to catch up on these and started to collect the entire Apple catalogue in earnest. I’m still engaged in that quest. There are a lot of original records out there still to track down…..
Four decades later, Apple Corps Ltd. and EMI Music raise the curtain on remastered CD and digital download releases of 15 key albums from the Apple Records catalog. All 15 titles will be released on October 26th. Most of the physical CDs will include bonus material. 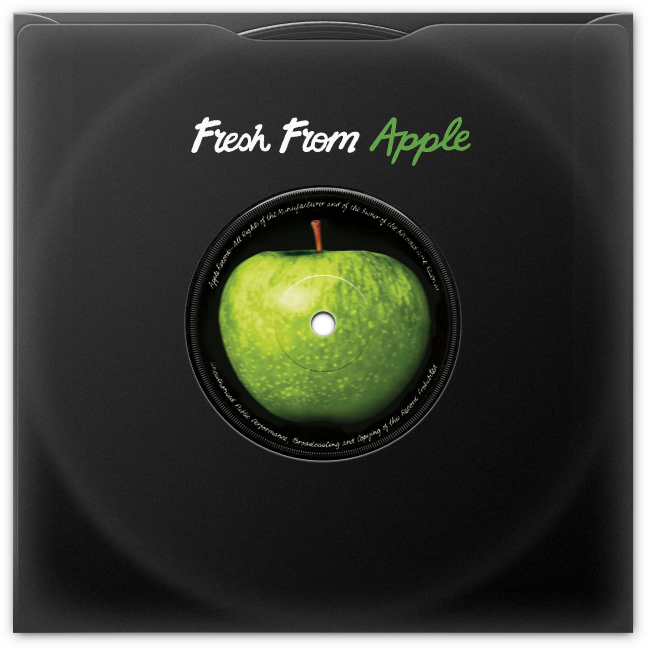 Together, the 15 albums represent the first ever Apple Records releases to be available via digital download. In the revolutionary spirit of 1968, The Beatles’ explosive musical output (characterised by their double-LP White Album) was only exceeded by their fascination with what they saw and heard going on around them. Five years into The Beatles’ reign, Apple Records afforded them the unique opportunity to sign new (and established) artists who appealed to each of them. In turn, the introduction of an artist on The Beatles’ record label was an imprimatur taken very seriously by fans across the universe. Apple Records’ utopian artist-orientated mission immediately set it apart, as the first operation of its kind in the major-label sphere. Diversity was celebrated, and artists were encouraged to record and release their music in a friendly creative environment. Apple developed a distinctive graphic aesthetic, from its legendary ‘apple-core’ logo to its advertising and merchandising, in the process setting a subtle new benchmark for the industry to follow. From 1968 to 1973, Apple Records bedazzled the world with a rainbow spectrum of releases – and fans were unusually well-informed about individual involvements of The Beatles with nearly every project. 1968’s self-titled debut album by Boston-based singer-songwriter James Taylor, for example, features Paul McCartney and George Harrison on “Carolina In My Mind”. Paul was instrumental in bringing the Welsh chanteuse Mary Hopkin to Apple, and produced her debut single, “Those Were The Days”. Badfinger, also from Wales, was still known as The Iveys when they recorded “Come And Get It”, written and produced by Paul (for The Magic Christian movie soundtrack). The Beatles had been fans of Billy Preston ever since seeing him in Little Richard’s band in Hamburg in 1962. George went on to produce and play on Preston’s Apple debut, That’s the Way God Planned It. Harrison was one of the producers and played (along with Ringo Starr) on Doris Troy’s self-titled Apple album. George also produced and played (with Paul and Ringo) on Jackie Lomax’s debut album, Is This What You Want? featuring the Harrison composition, “Sour Milk Sea”. Each of the 15 albums in this bumper batch of Apple Records releases has been digitally remastered at EMI’s Abbey Road Studios in London by the same dedicated team of engineers behind The Beatles’ recent remastered catalogue releases of 2009. It has to be said that this is not the first time these titles have been re-issued by Apple. There was another major campaign between 1991-1993 when they were all released for the first time on CD. That campaign also saw them released as vinyl LPs, complete with the original artwork and lots of bonus tracks, additional photographs, etc….So, for many collectors it will be a case of having to decide whether or not to get these 2010 releases a second time. What’s new is that they have all been freshly re-mastered by the engineering team at Abbey Road (who did the recent Beatles re-masters), and that they’re to be available as digital downloads for the first time making these re-issues the first Apple product ever available in that form. Can an announcement about the Beatles catalogue being digitally down-loadable be far behind? To mark that 1991-1993 release campaign Apple Records released this special apple-shaped extended play CD. This entry was posted in Apple Records, Beatles, Beatles Collecting, Beatles Music, Beatles Related and tagged Badfinger, Beatles, Beatles Collecting, Beatles Related, Billy Preston, Doris Troy, Jackie Lomax, James Taylor, John Tavener, Mary Hopkin, Modern Jazz Quartet, Music by beatlesblogger. Bookmark the permalink.